These are lilies in my garden. 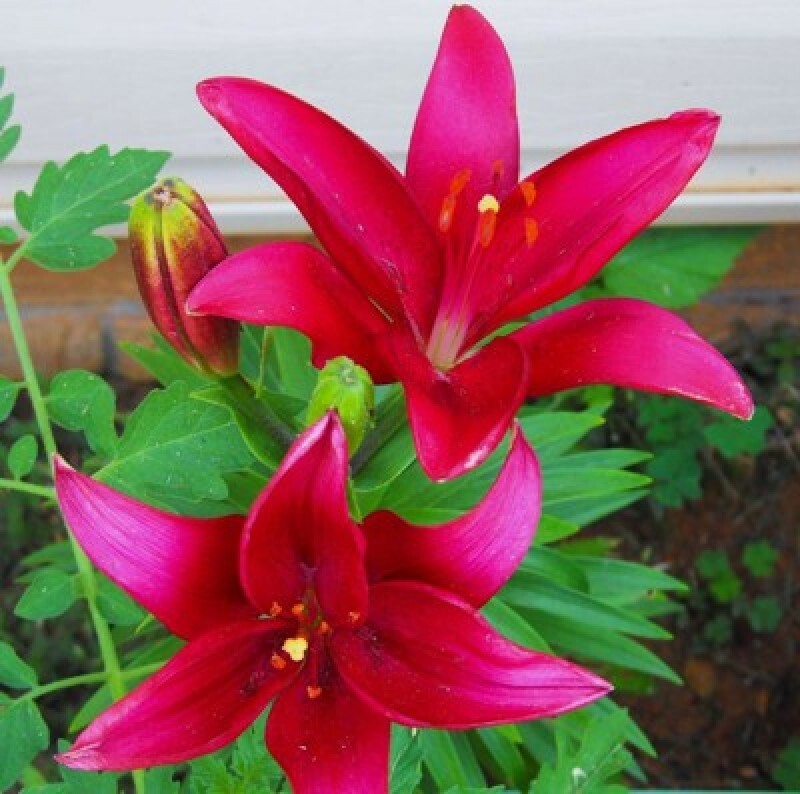 I love lilies and they are one of the easiest plants to grow and share. The foliage fills in bare spots and give you a grassy tuft before and after the flowers bloom. Many sizes, many colors, lots of varieties; and easy to share! 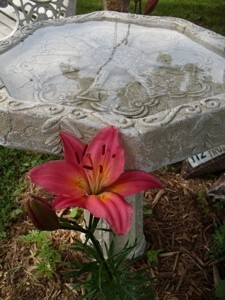 My lily bloomed next to the bird bath. Isn't it beautiful?